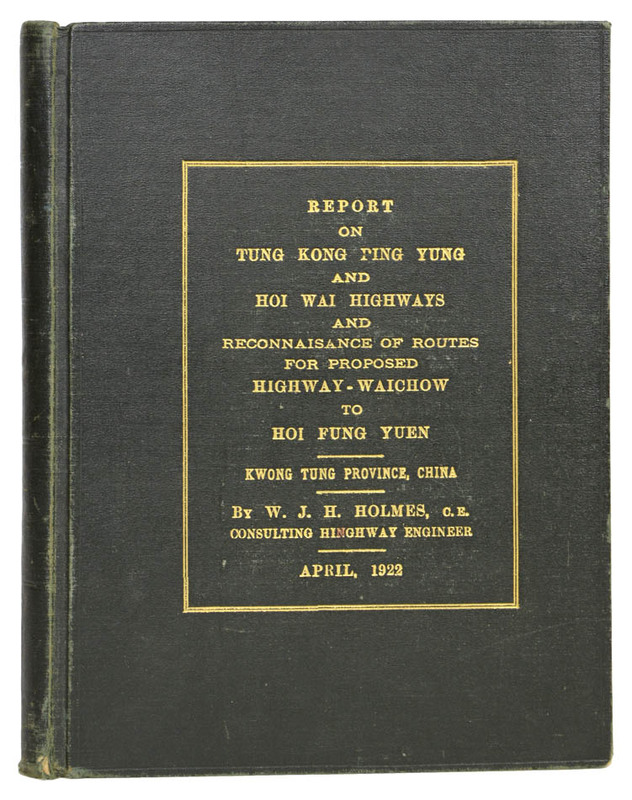 The original typed engineer’s report for the reconnaissance of routes for the proposed Waichow to Hoi Fung Yuen highway. The report was for the Commissioner of Highways, Province of Kwong Tung. The report also contains Homes’ observations on the roads already under construction in the province. The engineer, Holmes, was employed by the James A. Rabbitt Engineering Company, Canton office. 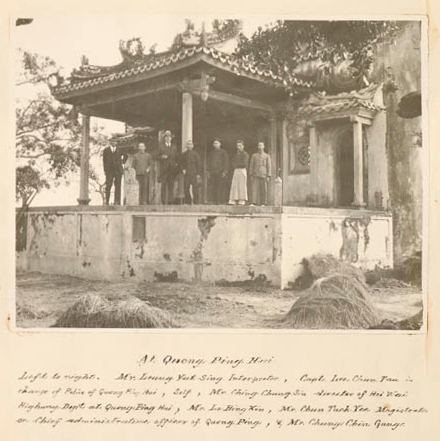 Employed by the Commissioner of Highways for the Province of Kwong Tung [Canton, now Guangdong], Colonel Holmes undertook a five week survey through an area of China largely bereft of roads, with the brief of finding routes to link the isolated inland communities with the coast, so that they could benefit from the sea trade to Hong Kong. As well as recording the distances, topography and geology of the routes, he also comments on the agriculture, industry and size of local populations. Due to the seasonal flooding, the routes needed to be carefully chosen and a great many bridges anticipated. He gives costings for the routes, but also comments and takes photographs. "Close outside the village of Sun Um Hui is a hot mineral spring in which the local people have been bathing probably for many centuries and is reputed to have qualities beneficial to health. I suggest that this water be analysed and if its reputation is sustained then the ground be acquired by the government and on completion of the highway, baths and a bathing pool be neatly constructed of cement concrete, and a hotel erected. This properly arranged and managed could be made a source of revenue as a pleasing health and holiday resort." 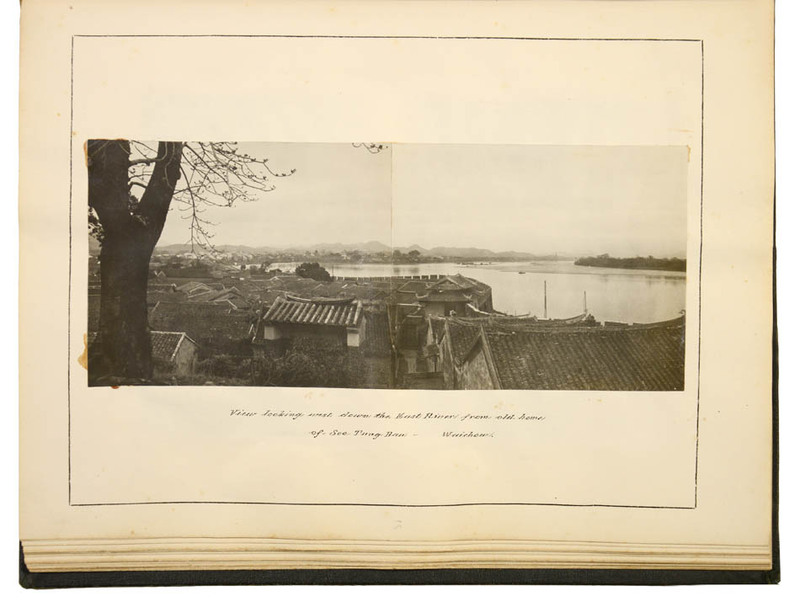 Among the large number of photographs there are 8 composite panoramic views; surely the earliest panoramas of the region. 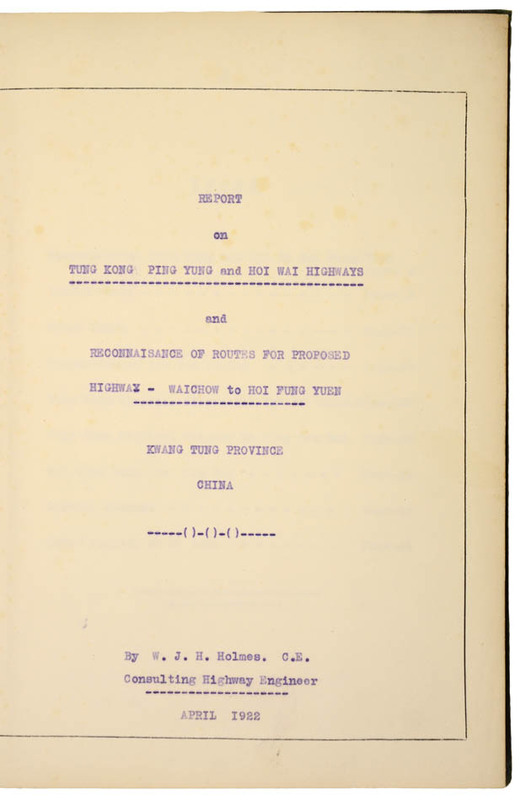 The document was probably produced in small numbers, possibly only 2 or 3 copies - the present example and perhaps a copy for the Canton office and the head office of the engineering company in New York. This report provides a fine visual record of the province and is an important piece of industrial archaeology. 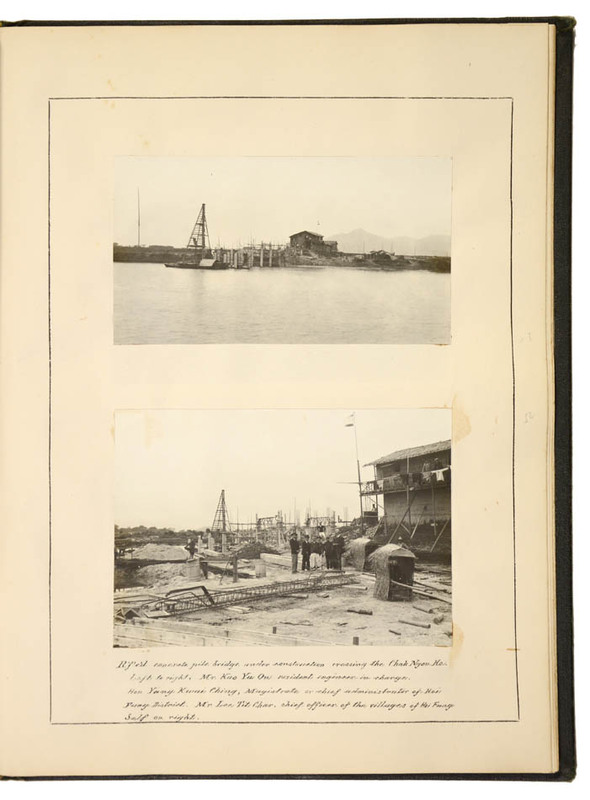 Description and Bibliographical references: 4to., 50 pp., printed on versos only, plan, 69 original mounted photographs, including 8 composite panoramic views. 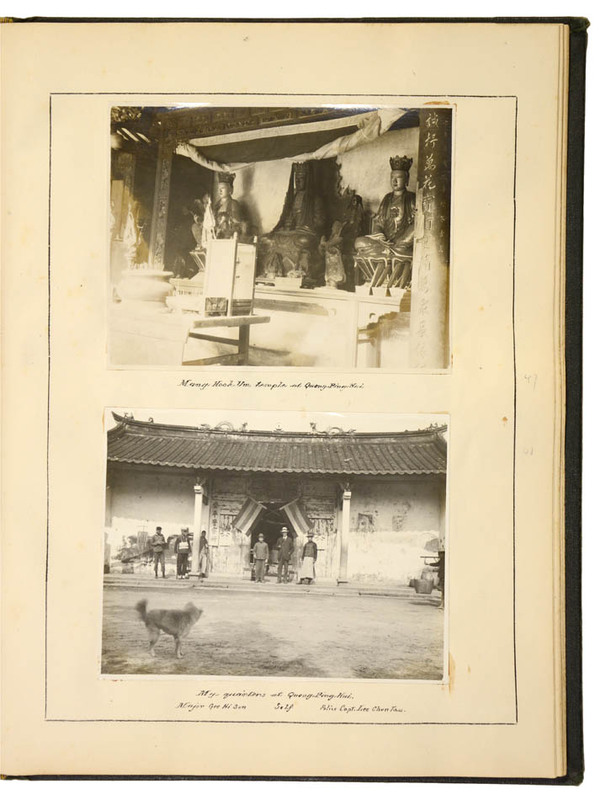 Pocket at front containing additional photographs and documents, original green cloth gilt, excellent condition.